Live It! (2014) offers a step-by-step guide to helping you discover what your ideal life looks like and how to make it a reality. All too often we turn away from our dreams, never taking the first step toward changing our lives for the better. 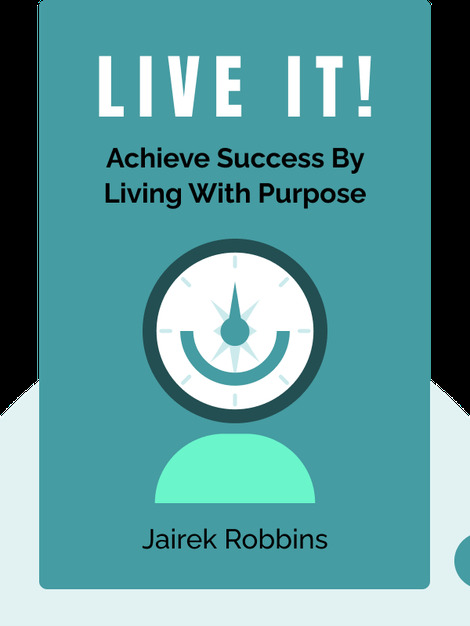 This book focuses on what you need to get what you want, and how to avoid obstacles and challenges along the way. 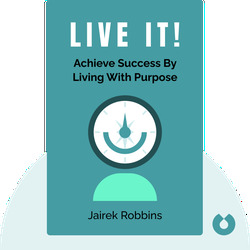 Jairek Robbins is a performance and lifestyle coach. The son of internationally renowned coaching pioneer Tony Robbins, Jairek was given the Gold Congressional Award, awarded to young Americans to recognize service and initiative, from the US Congress. He's a regular speaker at seminars and conferences, and Live It! is his first book.